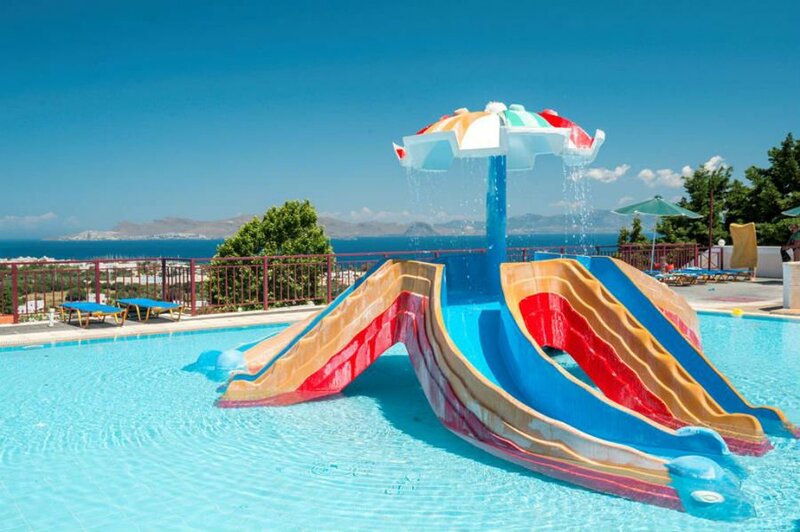 A guide to the best baby and toddler friendly hotels in Kos including hotels near the beach, with splash parks and with activities for babies and toddlers. 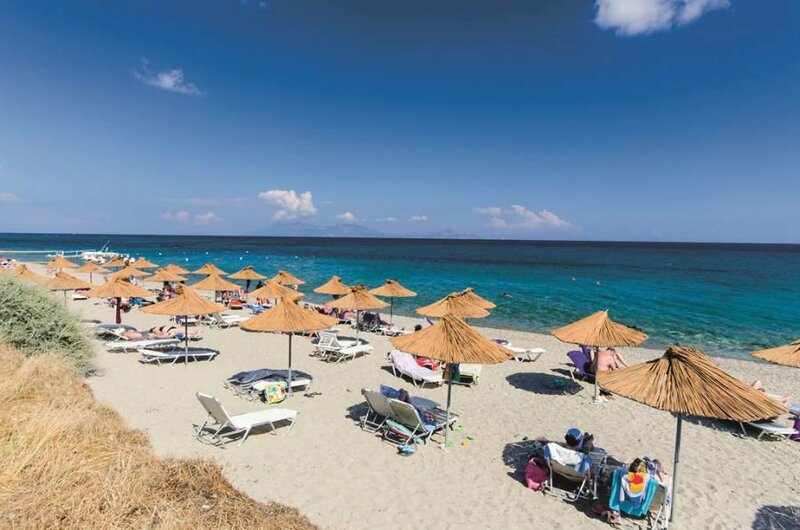 Read on to discover the best places to stay with babies and toddlers in Kos. 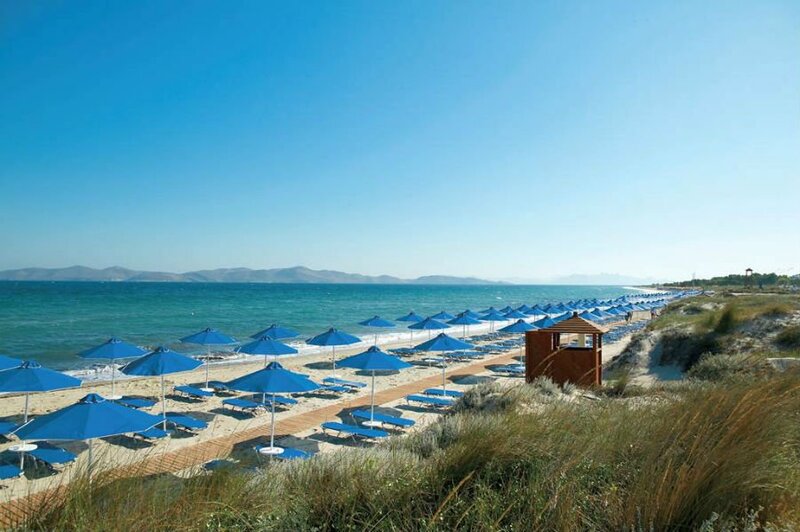 The 5* Grecotel Kos Imperial Thalasso hotel is in a stunning location overlooking the beach. Toddlers will love splashing around in the swimming pool and lazy river before heading to the playground with swings, see saws, slides and a climbing frame. The Kids Club is called Greocland and is for children aged 3+ where they can do arts and crafts, play games and listen to stories. Adults can get some me time and relax in the Thalasso Spa. Family rooms and bungalows are available. Some of the Family bungalows even have their own private pool. 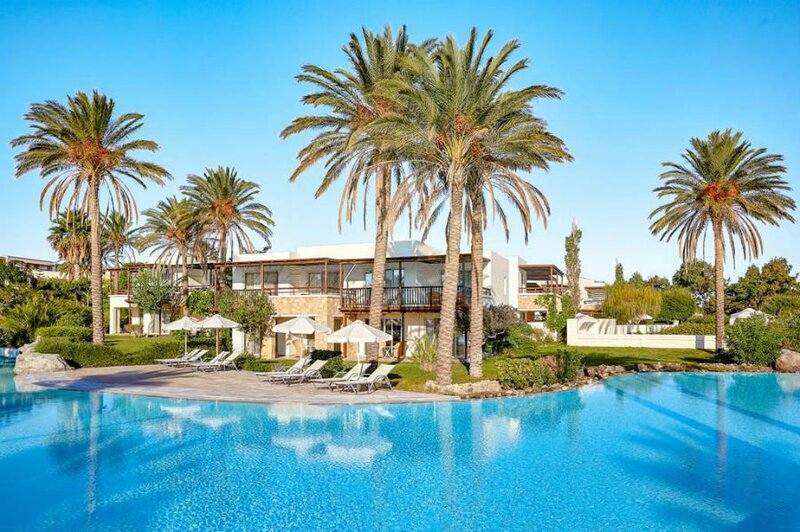 The Grecotel Royal Park is a village style resort in a quiet setting across the road from the beach. There is a swimming pool with waterslides, a playground and of course the sandy beach which is just metres away from the hotel. There is an excellent All Inclusive package, a daytime and night time entertainment schedule and family rooms which are decorated in an Aegean design. 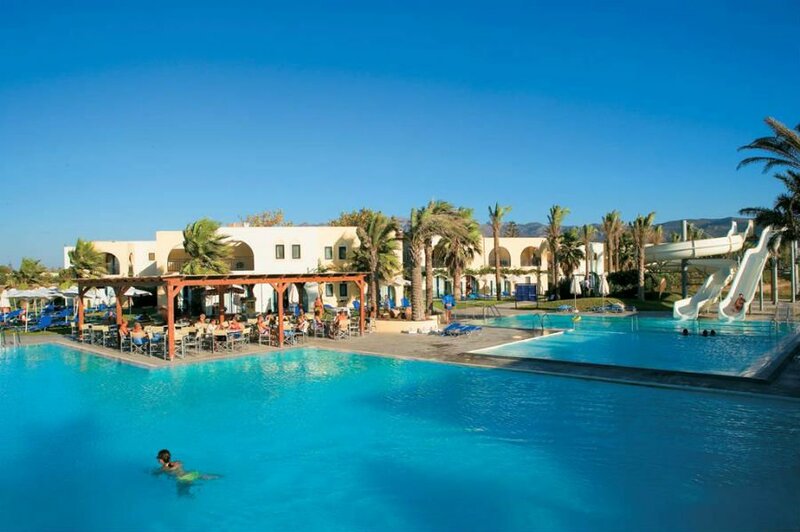 The TUI Family Life Atlantica Marmari is a fab hotel for babies and toddlers in Kos. It is right on a white sandy beach for fun filled days at the beach, and the hotel itself has 3 children pools and another one with waterslides. The hotel has a laid back feel with plenty of activities for active babies and toddlers. The hotel organises parent and toddler activities such as storytelling, music and games, and there is a mini disco on an evening. There is a Baby Club crèche for babies aged 0-3 which is open 6 days a week so parents can have some ‘me time’ while the little ones are being cared for. The Baby Lounge is a quiet relaxing place where you can meet other parents and feed and change your baby during the day. The hotel also lets you pre book loads of baby and toddler equipment so you don’t need to take it all with you. Family rooms and all-inclusive basis is available. 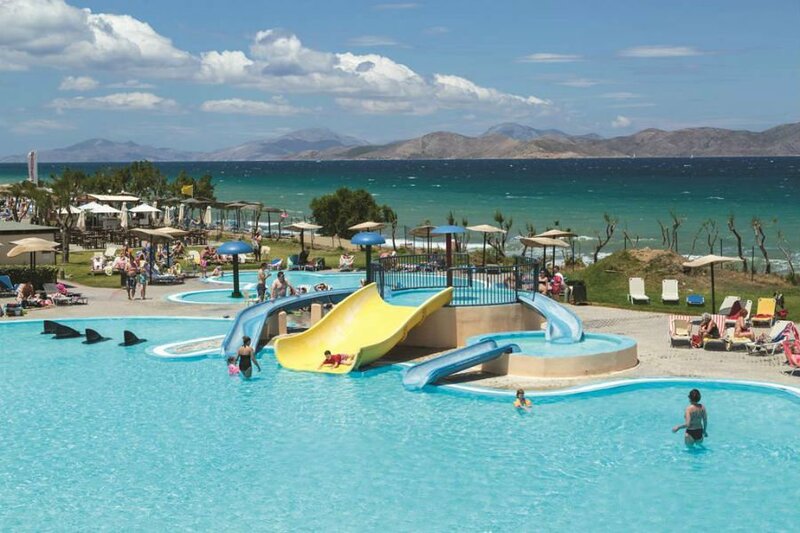 The beachfront Labranda Marine Aqua Park Resort is a great choice for parents looking for a hotel for babies and toddlers in Kos. 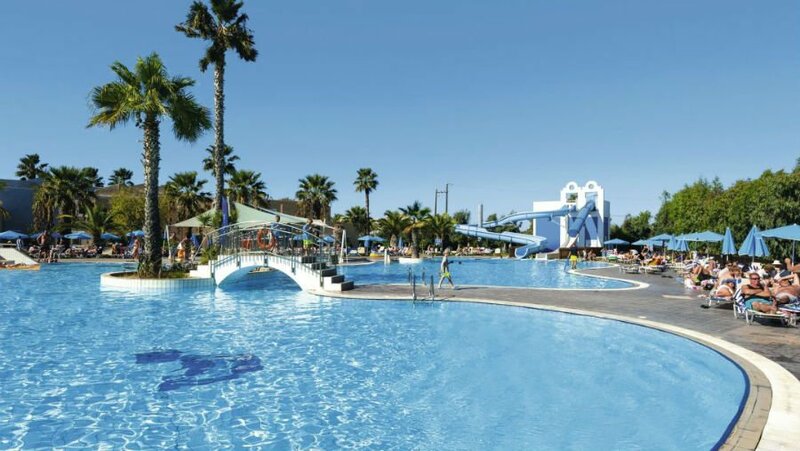 There is an onsite water park with slides, plus a wave pool overlooking the sea. Toddlers will love the hotel’s adventure play area with slides and swings. 1 and 2 bedroom family rooms are available, and the all-inclusive package is great value for families. 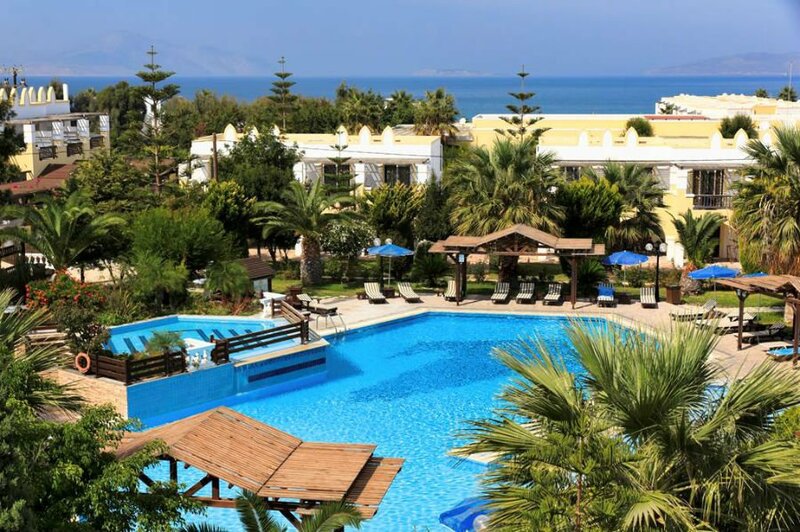 The popular Atki Beach Club is just 10m away from the beach so you can easily combine days at the beach and round the swimming pool. There are 8 outdoor swimming pools including 5 children’s pools and a playground. The Kids Club is for babies to 4 year olds and children can take part in arts and crafts and play games while parents relax around the pool. Family rooms are available. The All Inclusive Plus package is great value for families. 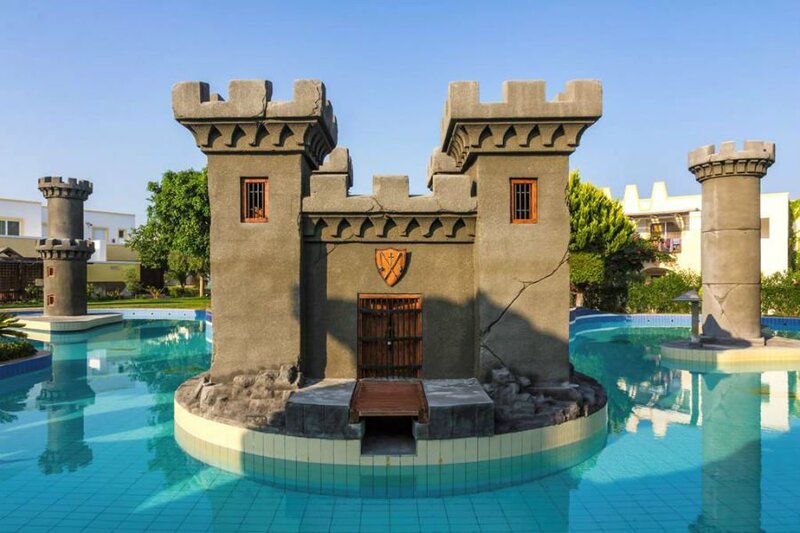 Located close to the beach, this village style complex has 3 outdoor swimming pools including a castle themed children’s swimming pool! There are 4 bars and a buffet restaurant where families on the all-inclusive option can eat. Toddlers will love having a play at the hotel playground, an parents who want to keep fit on holiday can use the hotel gym and take part in the hotel sports activities. Family rooms are available. 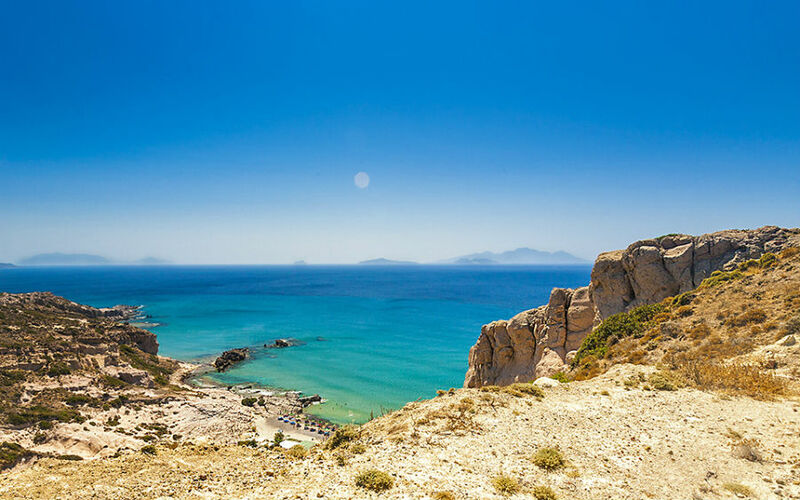 The Ikos Aria is a new luxury resort in Kos which is due to open in Summer 2019. 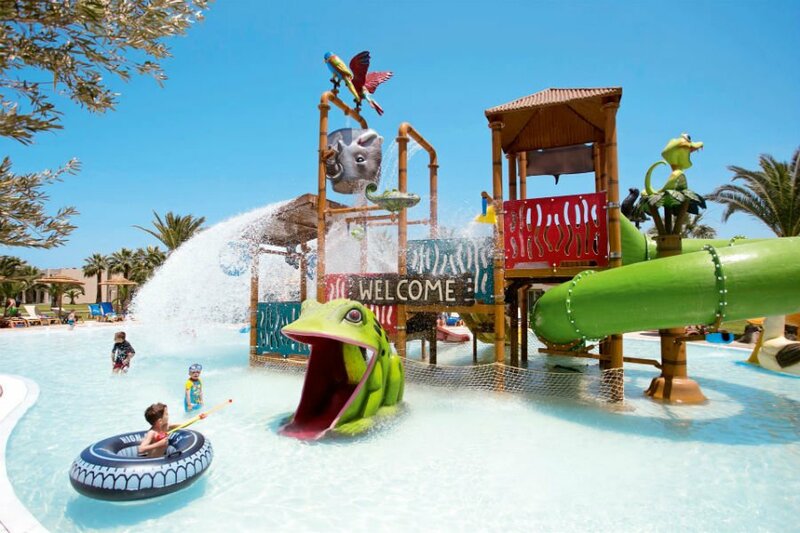 This resort definitely has the wow factor and is the perfect place for families to relax and unwind – even with a baby or toddler in tow! 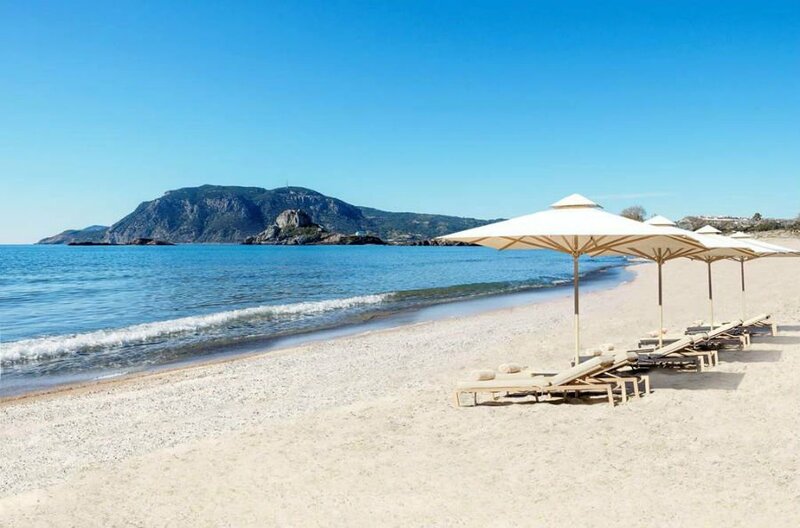 There is a private beach with golden sands overlooking the azure waters of the Aegean Sea. 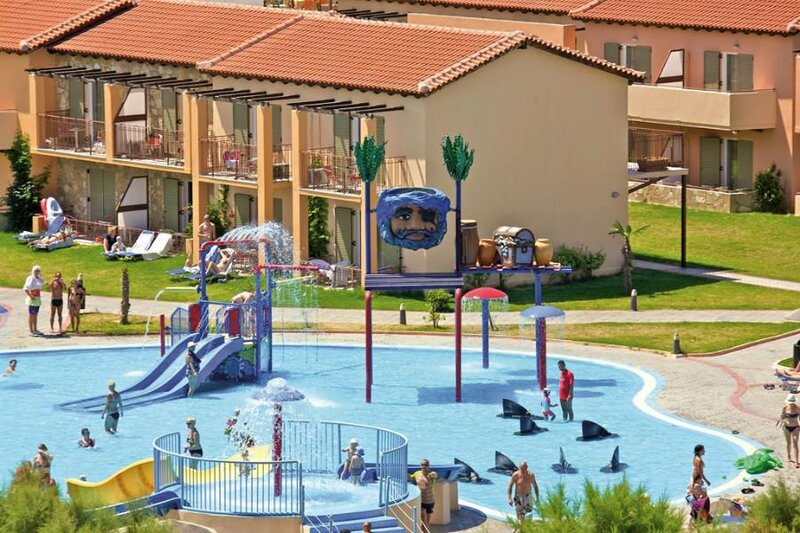 Toddlers will love the swimming pools, adventure playground and playing in hotel’s extensive gardens. 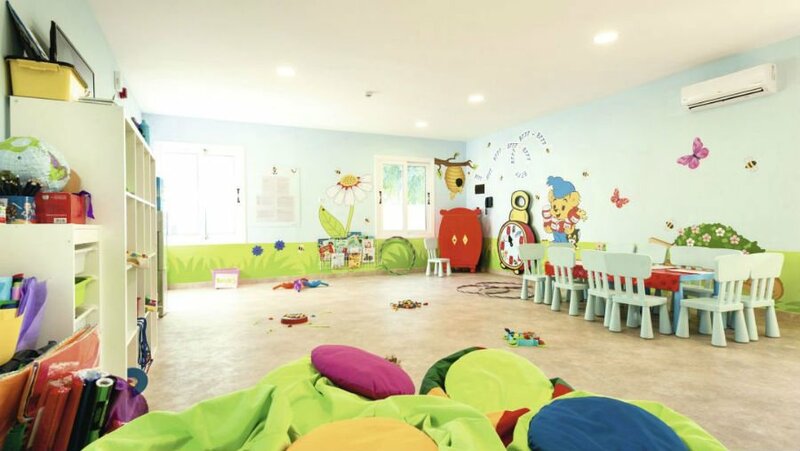 There is a crèche for babies aged 4months + which is run by the renowned UK based childcare consultancy Worldwide Kids. Children get involved in activities such as face painting, picnics and cookie making. Parents can escape to the Spa and treatment centre while the little ones are having fun in the crèche. All the rooms and bungalows are very luxurious with modern touches – family rooms and bungalows are available. The Aegean View Aqua Resort is in the popular resort of Psalisi, and is 2km from the beach (via the hotel shuttle bus). 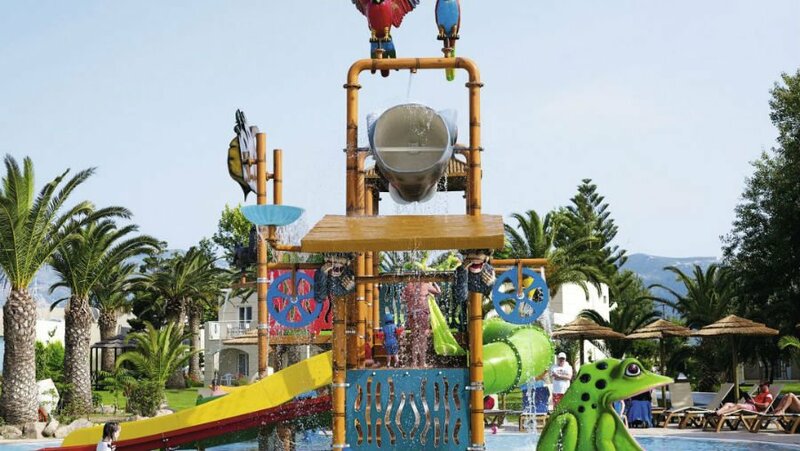 There is an onsite water park with waterslides, 2 swimming pools and a little playground for little ones. The hotel has its own family farm so the restaurant prides itself on serving home grown fruit and vegetables in the restaurant. All Inclusive is available. This hugely popular village style resort gets a big thumbs up from parents looking for a baby and toddler friendly hotel in Greece. 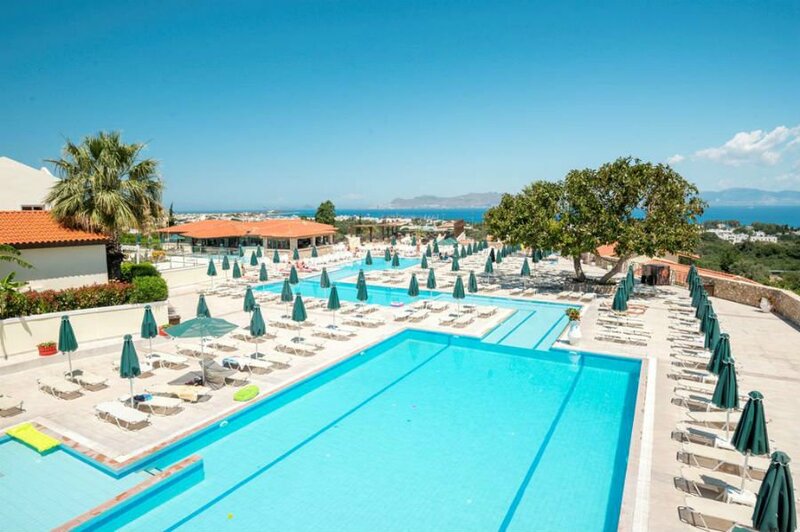 The resort overlooks the Aegean Sea and a sandy beach, and has a huge outdoor swimming pool and Adventure Land splash park with waterslides. There are height restrictions on some of the slides, and the yellow one is just for children aged 5+. There is also a soft play area and playground in case you can tear them away from the pool. 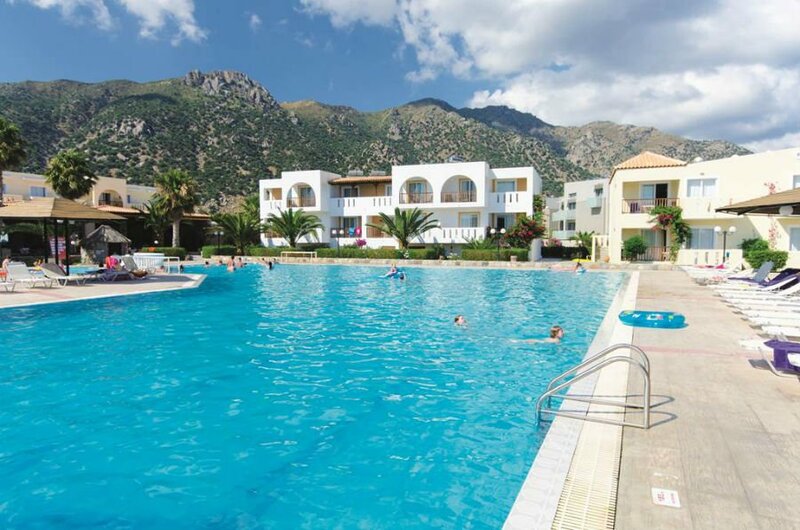 There are a range of rooms at the Blue Lagoon Village including large family rooms which sleep 5 and swim up rooms. Don’t miss a trip to the gelateria which serves ice cream, crepes and waffles! Right on the beach, the Holiday Village Kos has an American diner, kids Splash Park and is just 1km away from Marmari Village. There are 3 massive swimming pools, including a massive lake style one and an activity pool. Toddlers will love the Splash Park with its tipping buckets, fountains, slides and sprays. There are help-yourself drinks stations dotted around the gardens which makes it easy to keep little ones cool. Away from the pool, there is a special playground for under 6’s and a packed entertainment schedule. The Kids Club is for childen aged 3+. The rooms at the Holiday Village are bright and stylish. For extra space you can book a family room and opt for a duplex or partition which separates the double bed from the singles. 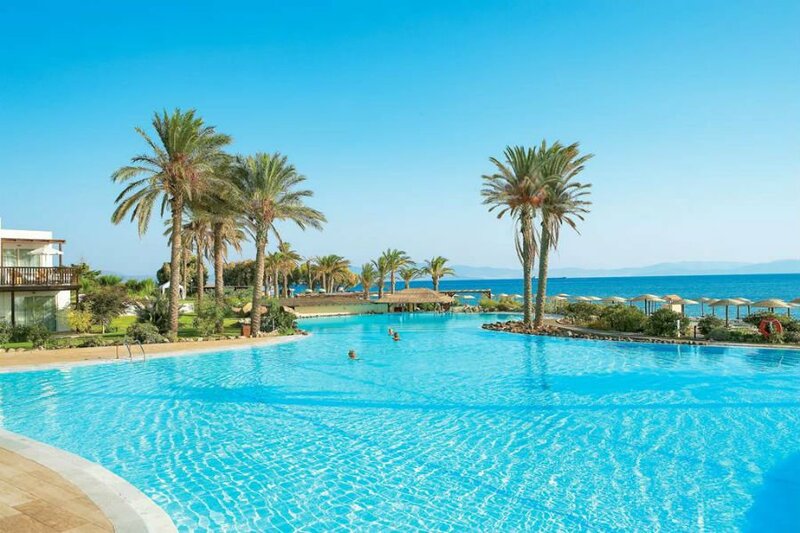 Can you recommend any baby or toddler friendly hotels in Kos?